Bournemouth University ‘s innovative and interactive Internet Radio Station – BIRSt – is back ‘on the air’ with a fresh range of programmes ‘on demand’ for listeners the world over. Bournemouth University’s innovative and interactive Internet Radio Station – BIRSt – is back ‘on the air’ with a fresh range of programmes ‘on demand’ for listeners the world over. BBC Radio Solent presenter Julian Clegg performed the formal switch-on of the station which is entirely managed by students of the University’s unique Masters degree in Radio Production. And if listeners ‘tune in’ via the web to www.birst.co.uk (the only way to listen the station) before February 6th , they stand a chance of winning a digital radio courtesy of Richer Sounds. This year, BIRSt celebrates its sixth anniversary. The station broadcasts entirely on the internet where visitors can choose from a range of pre-recorded programmes – drama and features to comedy and music – with some programmes produced by international students in their own languages. The station originally ‘burst’ onto the radio scene in the Spring of 2000 and, according to Professor Sean Street, the veteran broadcaster and the UK’s only Professor of Radio, the station continues to go from strength to strength. 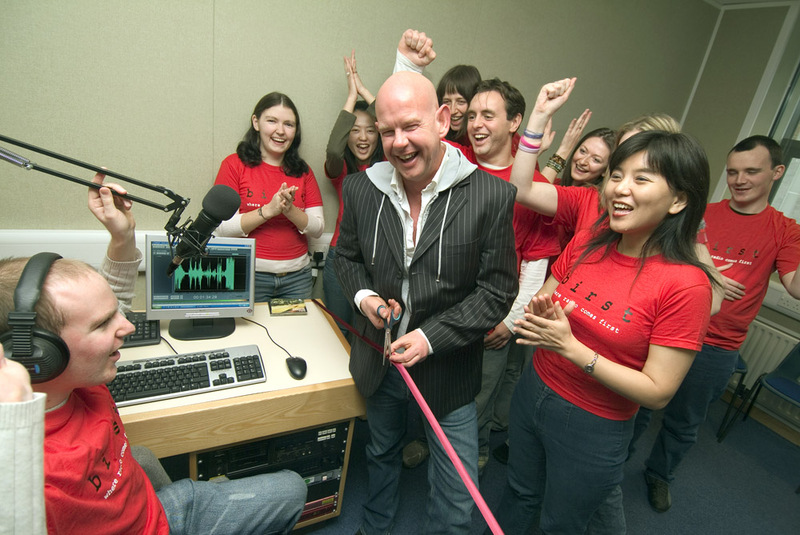 Over the years, BIRSt has introduced a number of broadcasting innovations including the creation of the world’s first ‘Bouncing Story’ jointly created by Bournemouth students and their counterparts at Ryerson University in Toronto, Canada. Bournemouth students created and ‘published’ the first episode on BIRSt. Ryerson students then followed up with their own installment, and so on with the whole story broadcast via both stations on-line. More recently, in October 2005, BIRSt introduced its first programmes for downloadable podcasts of programmes made over the last year. And new listeners can hear a 15-minute taster via BIRSt Shuffled, a one-stop selection of the best of the station. Bournemouth University’s Master of Arts in Radio Production is taught by Radio professionals under the direction of Professor Sean Street , an active programme maker in his own right and Britain ‘s first Professor of Radio. Previous students are currently working in a wide range of Radio jobs, and Bournemouth Media School’s international reputation for innovation and pioneering technologies ensures that students are equipped to enter this fast-changing profession.